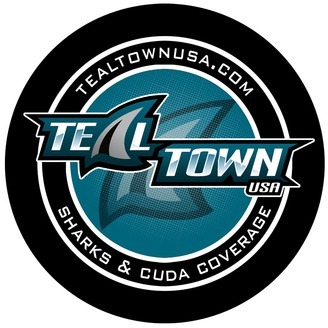 Teal Town USA is where you can find all the fun San Jose Sharks and NHL Podcasts available on TealTownUSA.com featuring: After Dark, our Sharks postgame show live onYouTube... The Pucknologists, our weekly wrap-up about the week in Sharks hockey... and special interviews and guests such as broadcasters Randy Hahn, Dan Rusanowsky, Jamie Baker, former Sharks coach and broadcaster Drew Remenda, Sharks writers Kevin Kurz and Chelena Goldman, Sharks GM Doug Wilson, and more. Subscribe to our channels and follow us on social media for more Sharks content. AJ Strong along with Erik Kuhre and Erik Landi recap the San Jose Sharks 5-2 victory over the Vegas Golden Knights in Game 5 of the Western Conference First Round series. While the Knights still lead the series 3-2, Tomas Hertl's two goals led the way to keep San Jose in the best of seven series. Kevin Lacy checks in from and chats about the San Jose Barracuda match as they took on the San Diego Gulls in the first round of the playoffs. 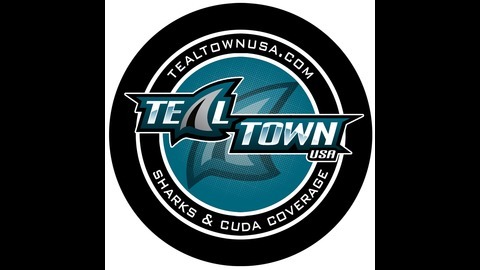 Teal Town USA - Your favorite San Jose Sharks' post-game vodcast, for the fans, by the fans! Subscribe to catch us after every Sharks game and check out our weekly wrap-up show, The Pucknologists!